More and more people are now using their iPhones and their iPads in order to make music. Making music as people would realize is not exactly easy so the use of the right applications can be very helpful. These applications make it possible for people to have a chance to make their own music and understand how music is made at the same time. This is one very simple application that you can use if you would want to create tracks made of high quality. Do remember that the instruments that are available may not be the same as the other music making applications that you have tried but it can be extremely helpful for simple songs that you are going to make. If you are searching for an application that will make things easy for you because everything is already pre-made, this is what you are searching for. It comes with pre made genres and even melodic settings that you can just choose. Make sure that you will sing the lyrics of the song and making your own song has never been easier. 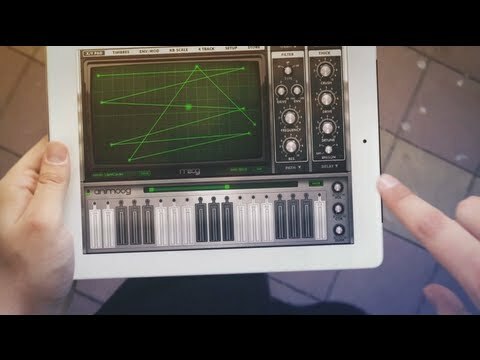 Want to make sure that creating synthesis with the use of your phone will not be complicated? This can make it very easy for you. This is one application that a lot of beginners will be able to tweak in no time and if you have always done music making in the past, this will be easy for you to use as well. Musyc comes with a lot of features that you have to purchase but those who download it are usually happy with what they get. Your input when you place it on this application will not generate the usual response; there are a lot of sounds and even movements that you have to do in order to create the perfect song. There is just something about the reactable that is complicated and at the same time exciting to work with. It is a modular synthesizer that will allow you to create your own songs seemingly the old fashioned way. There are various things you can manipulate to finally have the melody and the beat of your own song. Choose from these applications and making music from your phone will be far easier than before.